Fulham’s Roy Hodgson has been named as the Manager of the Year by the League Managers Association (LMA), with an “overwhelming” majority of votes. LMA Chairman Howard Wilkinson says Hodgson’s efforts since taking over at Fulham in December 2007 make him a worthy winner in 2009-10. 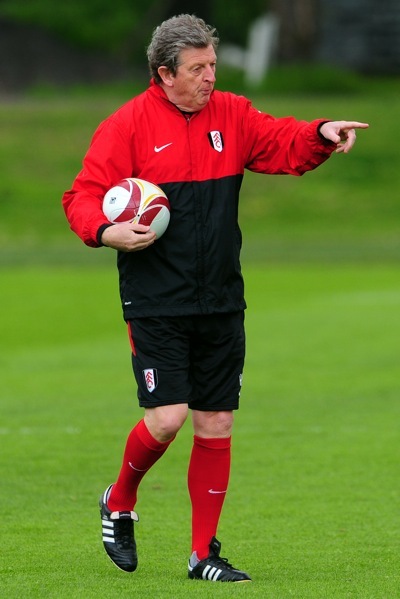 “Since joining Fulham, Roy has transformed the club’s fortunes,” Wilkinson said. “He initially saved them from the brink of relegation then took them to their highest ever league position last season. This year he has capitalised on that platform, achieving remarkable success in this season’s Europa League. Hear hear, with an extra hear on top. I think it’s absolutely the right decision, just as it was the right decision to reward Harry Redknapp with the Premier League Manager of the Year award. Woy has battled on so many fronts this season – starting back in July 09 – and he’s done remarkably well to juggle his limited resources. Newcastle United’s Chris Hughton took the Championship Manager of the Year bauble for his sterling work in taking the club back up to the Prem at the first attempt, with Norwich City’s Paul Lambert and Rochdale’s Keith Hill honoured for their fine exploits in League One and League Two respectively. In other news, Big Ron Atkinson – remember him – was inducted to the LMA’s Hall of Fame. Yikes!